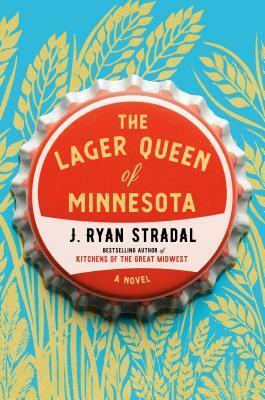 J. Ryan Stradal’s The Lager Queen of Minnesota is a story of family and the pursuit of dreams. Edith Magnusson is famous for her pies since they were named third best pies in the state of Minnesota. Edith’s sister is Helen Blotz. Helen turned the family soda business into one of the top breweries in Minnesota. Diana Winter has been a bit of a rogue, but when given a chance to learn the beer business she takes to it immediately. But just as Diana is about to launch her own brewpub, during the rise in popularity of IPAs, she’s also ready to give birth. Diane needs help and it comes from an unlikely source – Edith Magnusson. Can a rhubarb pie IPA be the next best thing? Stradal really captures the Midwestern/Minnesota vibe. There’s an entrepreneurial spirit here among these three women (and in many of the other characters), coupled with subtlety and understatement. If you know many Minnesotans you will recognize this trait. The early sections of this book mostly follow Edith and her pie making, which confused the heck out of me. Twice I flipped to the front of the book to make sure I was reading the correct ARC because there was no sign that I was on the path to what the book was presumably about. Books with female leads are incredibly popular today and it’s great that Stradal takes on the challenge of bringing three women into focus, but the problem here is that Stradal only gives us superficial female characters. They do some really wonderful things, and they struggle in a male-dominate world, but when you really get into it, there isn’t much depth to these women. The genders could be changed and it wouldn’t change much in the story. Still, I enjoyed my visit here overall. The rise and struggle of the characters is interesting, even if I didn’t feel they were too gender-specific, and of course, small brewery in Minnesota will almost always have a special appeal to me. Looking for a good book? The Lager Queen of Minnesota by J. Ryan Stradal is a fun look at the building and running a small beer business with Midwest ethics. Eli Teague first meets Harry when Eli is only eight years old. Harry pulls up in a 1929 Model A coup that has been converted to run on water. Harry pulls up and takes Eli’s water bottle to fuel the car. Eli meets Harry again when Eli is thirteen. This time Eli discovers that Harry is a girl, but she doesn’t seem to have changed much and is still driving the special Model A.
Eli isn’t able to shake the memory of Harry and when he meets her again when he’s 29 (and she still hasn’t changed), he follows her. But when he tries to protect her from some men who appear to be following her, he becomes caught up in a wild chase across the country and through time. One of the things we’ve seen recently with author Peter Clines is that he isn’t afraid to challenge the reader (and himself) with our perceptions of reality. He also knows how to build a great deal of intrigue and excitement with a story and Paradox Bound builds well on all of these. For me, the key to any story that has time travel is a logical set of rules – world building that makes as much sense as possible, given the already complicated parameters of the topic. And Clines makes this work. I was able to follow the way the time travel worked and was able accept it. It was one of the more creative methods I’ve come across. I also really liked the villains in this book. They were truly frightening – and they also had a backstory that made sense within the context of the story. The plot is thick with mystery and (intentional) confusion, keeping the reader guessing and eager to read on to the next chapter to see what happens next. Looking for a good book? 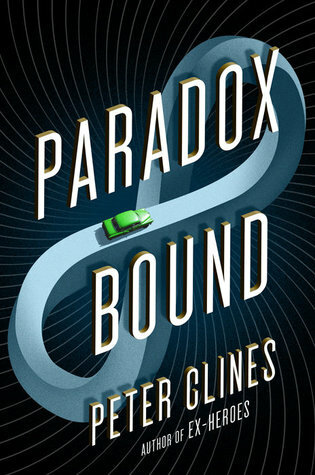 Paradox Bound is another exciting sci-fi mystery that includes time travel and terror, by Peter Clines. It’s a fun read that will keep you in the moment. The only thing wrong about this book is that it wasn’t around when my children were growing up. With truly delightful artwork by Mike DeSantis, author Vanita Oelschlager offers up some silly examples of dangling participles: a deer on a skateboard; a girl blowing away in the wind; a girl melting while eating ice cream, and so on. It’s sure to make youngsters smile and giggle while teaching them a valuable lesson about the English language. It’s the sort of book that, had I had this when my children were growing up, we would have read it, laughed, and then spent time making up our own dangling participles to try to get each other to laugh some more. And of course there’s a picture of a girl melting into the sidewalk. “The ice cream had to be finished quickly by Ida before it melted in the hot sun” or “The ice cream had to be finished quickly by Ida because it was melting in the hot sun”? All in all, a good book for children. Looking for a good book? 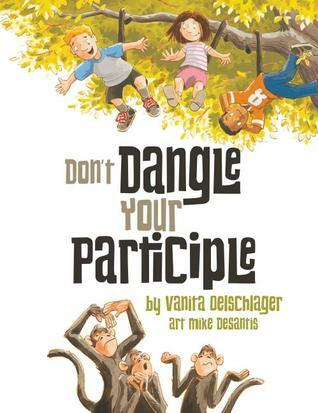 Don’t Dangle Your Participle by Vanita Oelschlager is just what a good picture book ought to be … fun to read and educational. The word “wolf” can definitely conjure up some strong images for people. “Menacing” and “predator” for some, “beautiful” and “regal” for others. For many, wolves became prey because of how they would inflict such destruction on livestock. Add a bounty on wolf pelts and the wolf was nearly hunted to extinction in the contiguous United States. Conservationists and hunting laws brought the wolf population back, but in the American West, where wolf population increased the most, and hunting is a common way of life, wolves remained in danger. Author Nate Blakeslee follows one particular wolf known as O-Six and the conservationists who follow her and the hunters shooting wolves in her territory. O-Six becomes the ‘poster-child’ for wolf conservation with world-wide press picking up on her story, and a strong social media presence. Blakeslee manages a magnificent job of offering multiple view points on the wolf perspective without telling the reader how to feel about the circumstances. I personally lean toward the wolf conservation myself so I was definitely most sympathetic to the plight of the wolves struggle to survive. However, I found the hunters’ stories quite interesting and none came away as villains. I am not sure that this book changes anything – possibly my perception of one side of the wolf story. But I am not going to get up and make calls to my congresspeople or donate money to a conservation group or get my wolf-hunting license. This is just a story, presented and left open, which is interesting, but then leaves me with no strong feelings when I close the book. So what happens next? I go on to the next book, I guess. Looking for a good book? 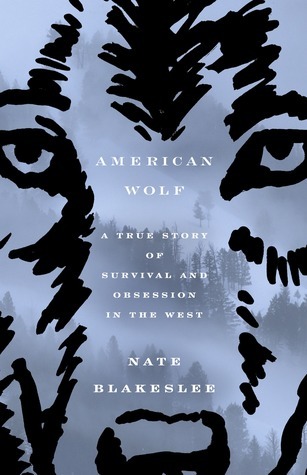 Nate Blakeslee’s American Wolf is a well-written, well-researched look at the American wolf story, presenting a balanced perspective, but possibly does so at the risk of leaving the reader without any overwhelming reactions. 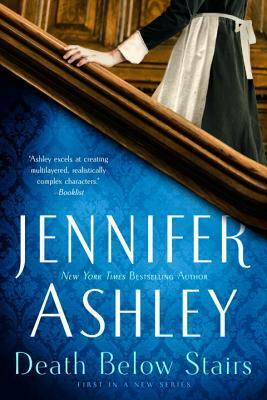 Once in a while you come across a book that you can tell you should like – it’s well written, it touches subjects that appeal to you, characters that are strong – but for whatever reason you just can’t connect with it. The Trials of Solomon Parker by Eric Scott Fischl is just such a book for me. We’re in 1916 Butte, Montana. 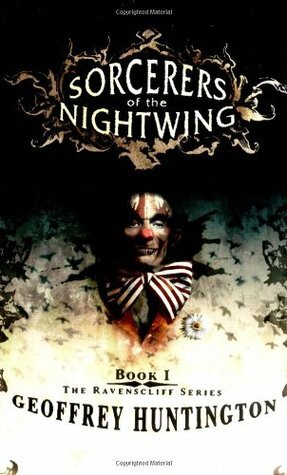 Solomon Parker is a broken-down old man who has always managed to stay a step ahead of his debts, but time is running out as his debts to some pretty nasty people are increasing. But … deus ex machina … the “Above Ones” – the gods of The People, in the form of a man known as Marked Face – are looking for a little excitement and offer Solomon a chance to gamble his way out of debt. There is a fair amount of Native American back story that takes place here, and I do enjoy Native American history (and literature), but it’s clear in the writing that this isn’t tribe specific and Fischl tells us in his notes at the end that this was done on purpose – to give us the touch of Native American sensibility without giving us a tribe to relate to. I understand and appreciate Fischl’s sentiment that he’s not Native and these aren’t his stories to tell, but combining Native stories and making them into one ‘generic’ Native tribe isn’t ‘not telling’ a Native story. None the less, it was actually my favorite part of the story. There is a scene early in the book which I highlighted and wrote “What is the point of this vile bit?” Suffice it to say that it’s a moment with a couple of guys talking crudely about the things a woman could do with her private parts. I saw no purpose for this at the time and still don’t feel it was necessary. But overall I never connected with this book. I didn’t care enough about Solomon Parker to care whatever happened to him. And since the story revolves around Parker, if he doesn’t connect with the reader, then it just isn’t going to work. The Native American aspects to the story kept me interested, but it wasn’t strong enough to make up for what I was missing with Parker. Looking for a good book? 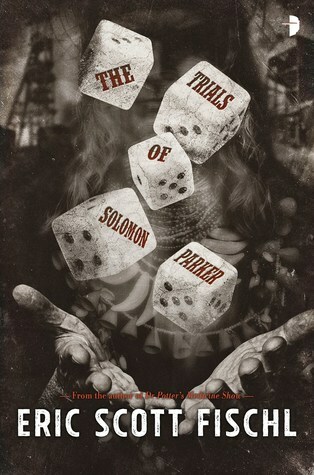 The Trials of Solomon Parker by Eric Scott Fiscl is a unique fantasy set in the American west in the early 20th century, but the main character doesn’t hold interest.